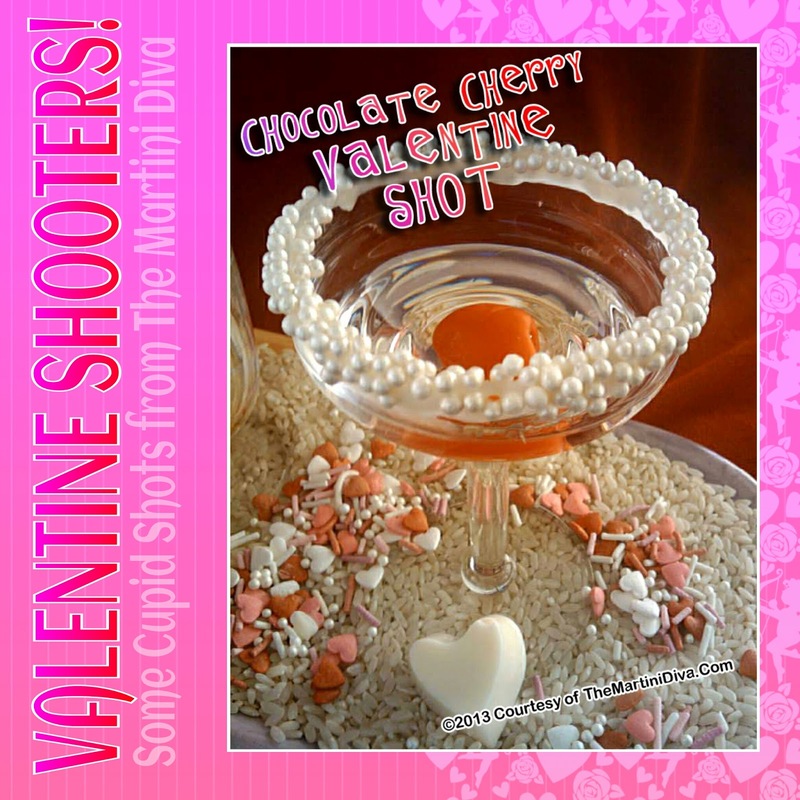 Chocolate and cherries make up a lovely couple when it comes to Valentine cocktails. I have quite a supply of flavored vodkas and this was a perfect opportunity to pair a couple of them for Valentine's Day. This is a pretty easy shooter and a delicious one, if a bit dangerous, so don't go overboard. P.S., it's even better if you use my Homemade Maraschino Cherries instead of those chemical laden sugar bombs you find in the store. If you want, you can add a little bit of the Maraschino liqueur from the cherries do your shot for a little color and extra flavor boost! Dip the rim a cordial in either the cherry or the chocolate vodka then into the pearl cake gems. Chill glass in the freezer. Fill a cocktail shaker with ice then pour in the cherry vodka and the chocolate vodka. Shake until chilled, strain into your glass and enjoy.